There is a very simple, efficient and inexpensive method to cleaning and maintaining your Sterling silver jewelry. Silver will naturally tarnish over time due to the sweat on your skin and exposure to air. 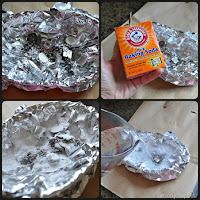 An aluminum pie pan or a piece of aluminum in a bowl big enough to hold your piece. 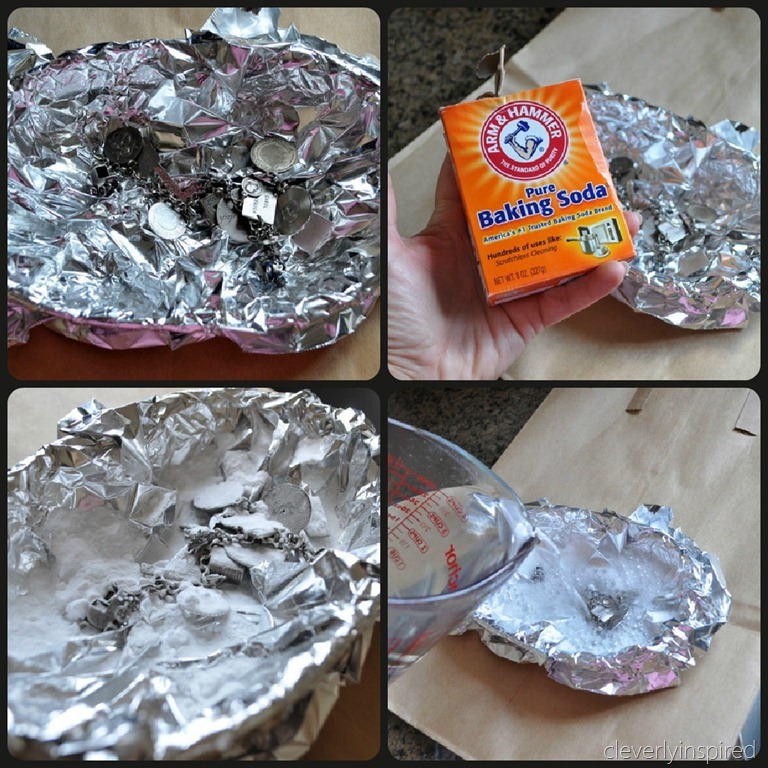 Cover your silver jewelry with baking soda in the aluminum pie pan and add boiling water. Add enough baking soda and water to cover your piece. Once tarnish is removed, rinse and dry with cotton towel or silver polishing cloth. When you are not wearing your sterling silver jewelry it tends to tarnish faster. To slow down this process, store it in a jewelry bag in your jewelry box or drawer.